The name has a malicious ring to it. 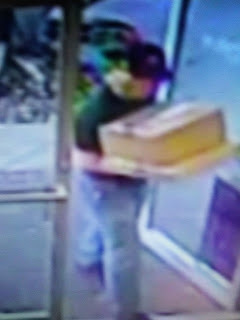 NY Post reports the suspected Austin bomber used the alias “Kelly Killmore” while FedEx-ing two explosives-filled packages Sunday, law enforcement sources tell ABC News. Mark Conditt, 23, was caught on surveillance camera shipping the boxes from a store in the suburb of Sunset Valley. One of the packages detonated at a FedEx distribution center near San Antonio on Tuesday — leaving one worker with minor injuries — and the second was then recovered at another, intact, at a separate shipping center in Austin.